Today I thought we would talk about decor, and not just any decor but rustic wooden decor. 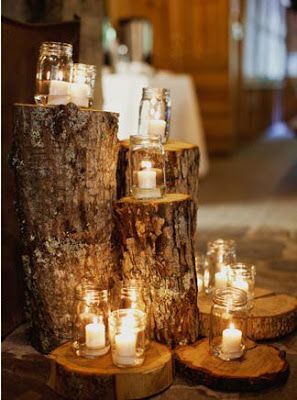 Rustic weddings are very popular and it is pretty obvious why, they look beautiful and feel so magical. There is just something so simple and natural that makes it so special. One of the biggest trends for decor at these wedding is incorporating natural wood. This combined with greenery and white accents looks so amazing! I wanted to include some photos below to use as inspiration in case this is something you are interested in trying to incorporate on your special day.